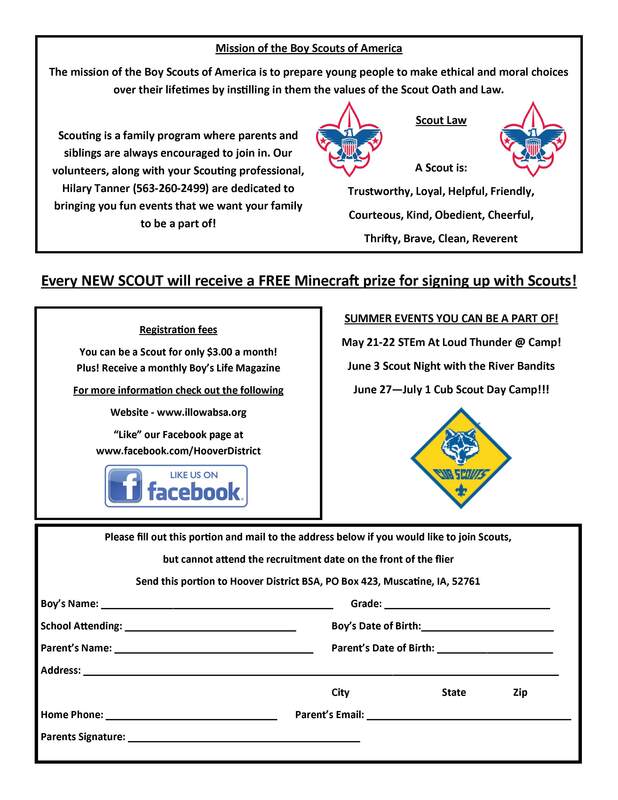 All boys in Kindergarten through 4th grades are invited to join the Cub Scouts for summer fun like hiking, fishing, camping, shooting bows & arrows and much more. 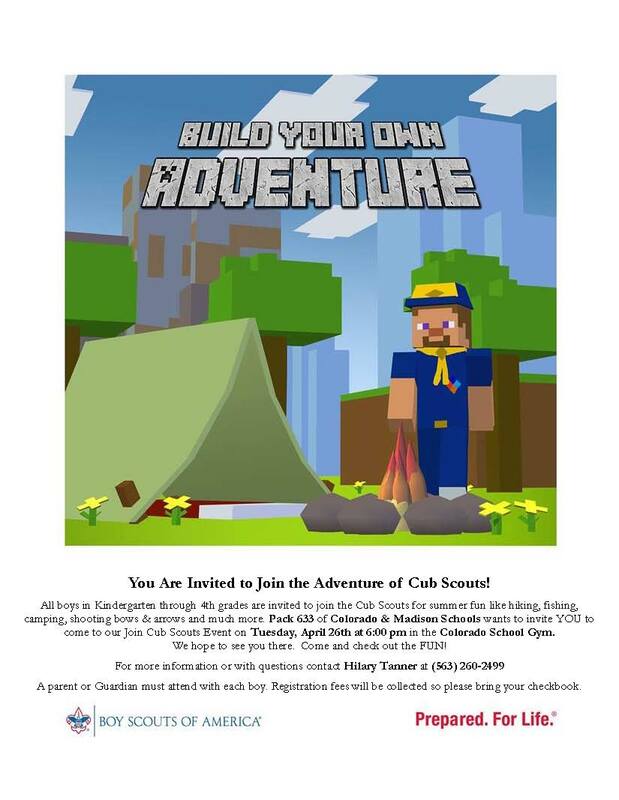 Pack 633 of Colorado & Madison Schools wants to invite YOU to come to our Join Cub Scouts Event on Tuesday, April 26th at 6:00 pm in the Colorado School Gym. We hope to see you there. Come and check out the FUN! For more information or with questions contact Hilary Tanner at (563) 260-2499.